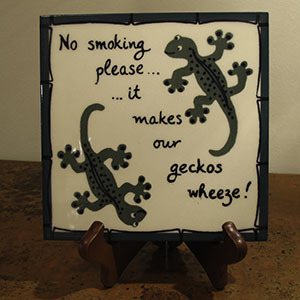 After retiring, Joanna and I settled in Carefree, Arizona. The attraction was the SkyRanch at Carefree airport and we are active aviators. 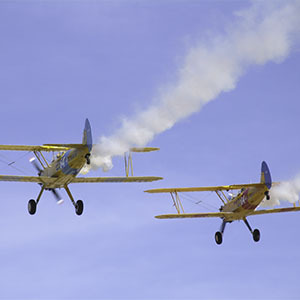 In addition to our personal air travel, you will often find us volunteering for Angel Flight West. 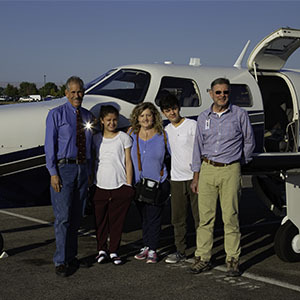 Where, "Angel Flight West gives us the opportunity to combine our love of flying with our passion for helping others in need." 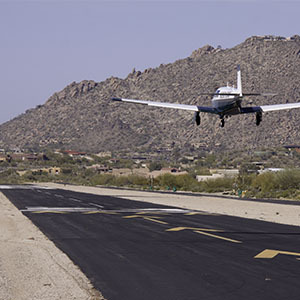 The Carefree Casita overlooks the approach end of runway 6 and our former guests comment on how exciting it is to see the few airplanes that do come and go on a daily basis. 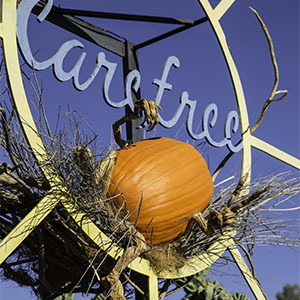 Carefree has so much to offer. 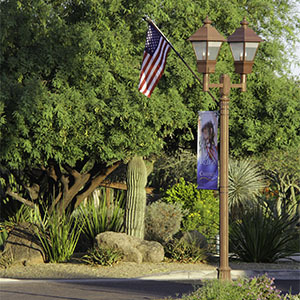 A bedroom community to Scottsdale and Phoenix it offers all of the amenities those cities offer within a few minutes while at the same time one experiences the small town feel that Carefree extends. 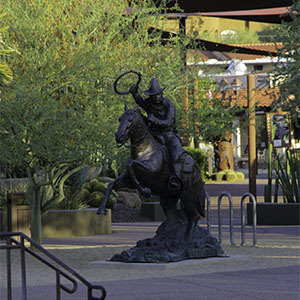 Numerous outdoor activities are available to those that desire it, shopping and dining options also abound. 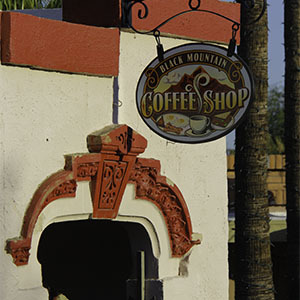 Of course, with the wonderful weather the Valley of the Sun is known for, you bask the climate of the Sonoran Desert. Please explore the activities below for ideas on what to do during your visit. 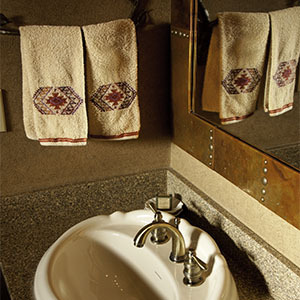 While the Carefree Casita was purchased to serve as accommodations for our family and friends when they are visiting. You will benefit from our desire to offset some of the costs by offering the Carefree Casita to potential guests such as yourself. What sets the Carefree Casita apart from other vacation homes you may have consider is the fact that the Carefree Casita is also a reflection of our home and what we want to present to our family and friends. It is truly a home and not just another vacations rental. It is difficult for us to toot our own horn, please come and see for yourself if we have met our goal of providing a comfortable and unforgettable stay in the Carefree area. Please let us know WHAT YOU THINK! CAREFREE MONTH IN CAREFREE...We spent a month at the Carefree Casita and enjoyed it thoroughly. 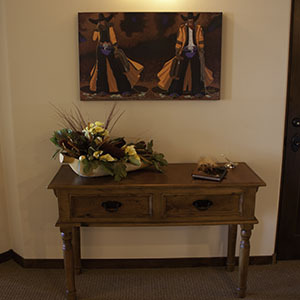 The property is updated, super clean and decorated beautifully in a Southwest theme. Although the weather was a bit cool, there was hardly a day when we could not get outdoors and enjoy all that the area and Phoenix had to offer. The kitchen is comfortable to work in and is stocked with enough utensils and dishes to be able to stay in and cook whenever we wanted. The master bedroom is huge, the king bed is perfectly comfortable and the linens are lux. Two TVs were handy and we were especially happy that a DVR was included so that we could keep up on our favorite shows without compromising our time exploring the area. The junior suite is perfect for guests. The in condo laundry was very convenient. 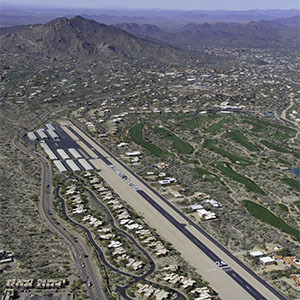 We especially enjoyed the proximity to the private airport and the entertainment that it provided. Our owners were always helpful and prompt if we needed them, providing information and suggestions about the area. We took advantage of the jeep rides and sunset horseback rides into the desert which were great. There are many very good restaurants within 10 minutes of the Casita. We would definitely return. PERFECT SOUTHWEST VACATION... I never knew how breathtakingly beautiful this part of the country is. Taking in the view with morning coffee on the balcony and afternoons by the pool was like heaven. 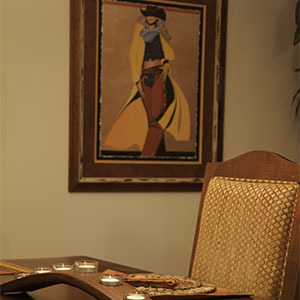 The condo is beautifully decorated in the southwest theme with everything needed to make it home. The pool and club house are steps from the front door. There is even a little putting area. Probably more important than anything else, the place was spotless and the beds were really comfortable. The sheets were so luxurious that I asked the owner about them. She said that this was the third set she bought because the first two didn't meet up to her high standards. I believe it because we slept like logs. If you are considering a Southwest vacation, this is an ideal spot with easy access to all the fun things to do in the area and considering the options, unbelievably inexpensive. We look forward to returning. A Perfect Stay... Convenient to "downtown" Carefree yet quiet and peaceful when you are "home". Nicely furnished and decorated. All the conveniences without any of the hassles. I highly recommend this lovely Condo. Owners very helpful. Everything is as represented.